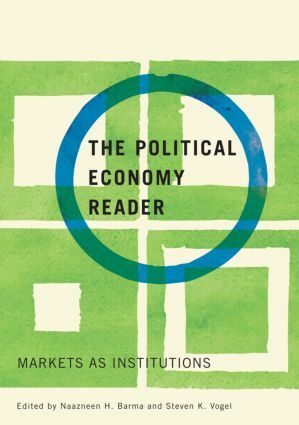 The Political Economy Reader combines in a single volume core writings on political economy from four social science disciplines: economics, political science, sociology, and history. Arguing that markets should be viewed as institutions that are deeply embedded in politics and society, editors Barma and Vogel combine a theoretical approach to understanding capitalism with analyses of real-world market systems around the world today. The Reader first lays the conceptual groundwork, covering transaction costs, property rights, corporate governance systems, power relationships, social networks and cultural norms, and then turns to real-world practices and reforms. Contemporary debates focus on deregulation in advanced industrial countries, privatization in transitional economies, and liberalization in developing countries. The volume concludes with selections on the information technology revolution and globalization. Naazneen H. Barma is a Young Professional at the World Bank. Steven K. Vogel is Professor of Political Science at the University of California, Berkeley.